The hunting in Liberia is not physically difficult ... but mentally it is like no other ... mile after mile of slow walking, mostly at night ... following one step behind your guide ... usually damp from rain or humidity ... ready to shoot at any second ... and hoping for one or maybe two shots during the long walk ... sleep and rest during the day, but your world is upside down anyway due to the time change. Still, there is a list of worldwide hunters up to the challenge every season, January - June. 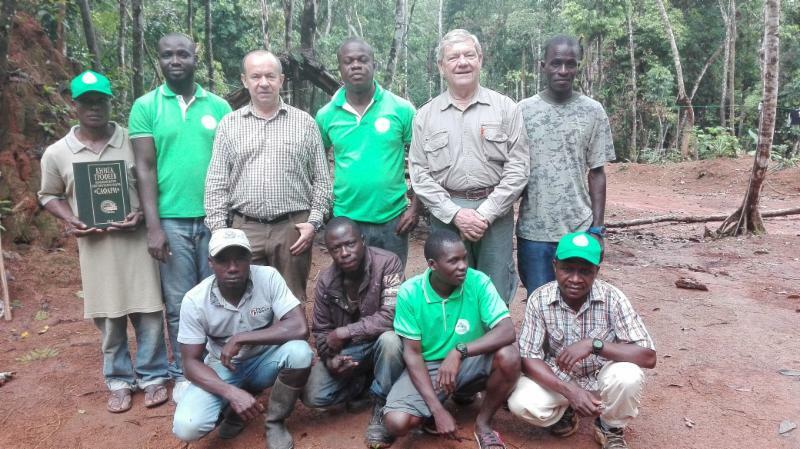 Rod Wooley just returned from Liberia after taking the challenge like no others have. 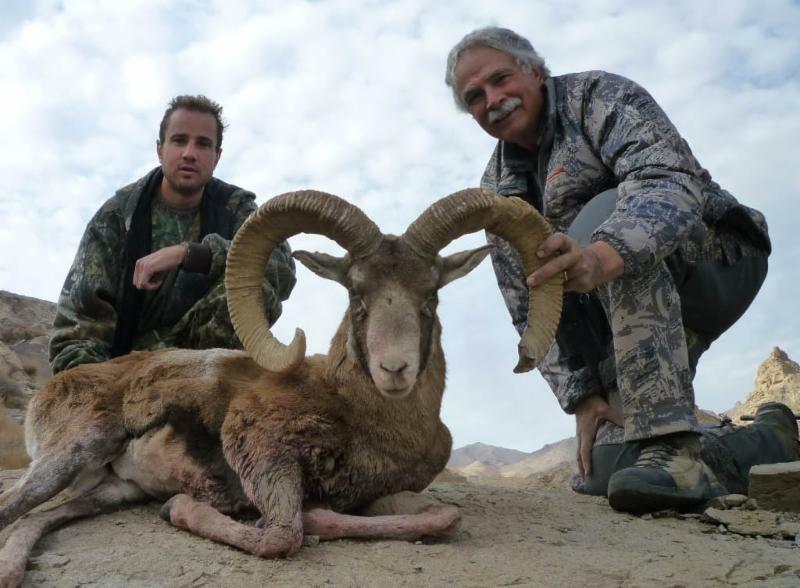 Rod booked two hunts, back-to-back: the 6-day "moonlight special" (during which there are 0 to 2 hours of total darkness each night) followed by our regular 10-day "dark of the moon" safari. He did this because he loves to hunt Duikers. In fact he could be called a Duiker Specialist or at least an aficionado. And he did it because the list of small species left for him to successfully hunt is small, so he knew he would have to pass on shooting several species. AND IT PAID OFF! The species that interested Rod the most were two of the least successfully hunted in Africa ... Zebra Duiker and Water Chevrotain. And he got them both! Rod with guide, Amos, and high record book male on left and female on right. In fact, he was able to shoot both a male and a female Zebra Duiker to add to his extensive collection. 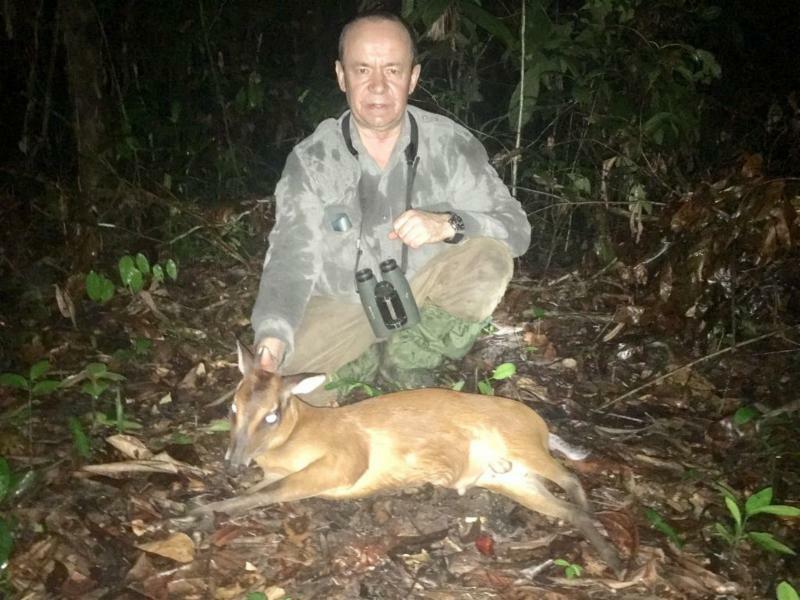 Famous Russian hunter, Aleksander Egorov, also took an excellent bag, including a high record book Bay Duiker. 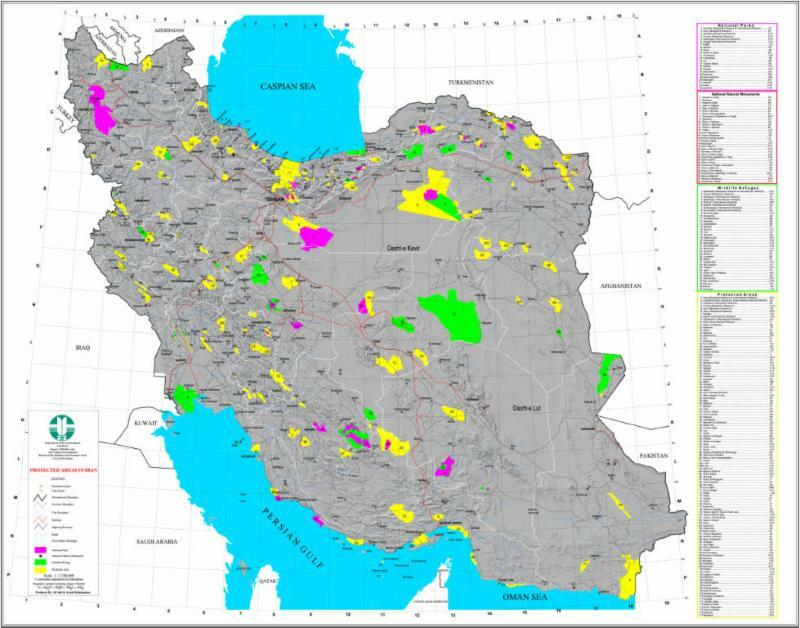 A BIG NEW DEVELOPMENT IN IRAN MAKES THE 2017-18 SEASON A VIRTUAL CERTAINTY FOR U.S. HUNTERS according to our outfitter, Esrafil Shafiezadeh. For the first time, the Game Dept. is allowing private owners of large, free-range properties (61,750 to 370,500 acres per Esrafil), and with excellent populations of indigenous species, to conduct hunts. The success rate and trophy quality are expected to be very high for several years, at least. We are now booking for November 2017 - February 2018. Call Ken Wilson for pricing information (830-792-4200).